An economic impact study performed by the American Horse Council found that 4.6 million Americans are involved with horses, and that there are 9.2 million horses in the United States. The horse industry is a highly diverse and economically significant sector. Add to that over 10 million equestrian spectators and it is easy to see why the horse industry is a marketing hotbed. Chester Weber is one of America’s most respected horsemen. 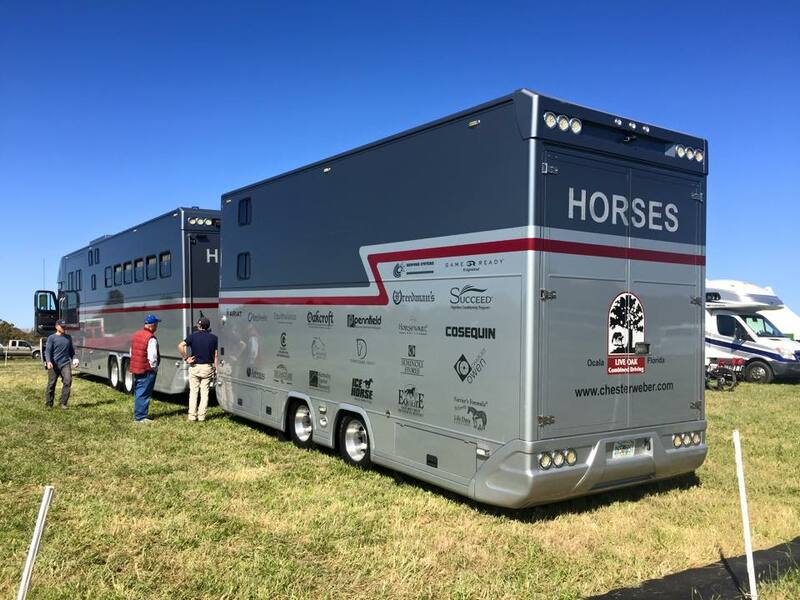 A true icon in the sport of combined driving, Chester has achieved remarkable historic accomplishments such three World Equestrian Games Silver medals, 13 U.S. Four-in-Hand Driving National Championships, and a number one slot on the FEI World Rankings. Combined Driving is literally a triathlon for horses, and is one of the fastest growing equestrian sports today. This combination of elegance, tradition, and strength appeals to a broad spectrum of equine enthusiasts. Along with competing nationally and internationally, Chester is an active proponent of the sport serving at the highest levels in the United States Equestrian Federation. He is currently on the USEF Board of Directors, the High Performance Driving Committee, the National Driving Committee, the Safety Committee, and he is Chairman of the Active Athletes Committee. Chester’s high profile success in the sport has not gone unnoticed by the press. He has been featured in countless equestrian magazines and websites, as well as on TV shows, radio and podcasts, and various social media outlets. If your organization is ready to partner with one of the equestrian world’s leaders, Chester Weber is the natural choice to help drive your sales. As a sponsor you are not competing for targeted consumer’s attention amidst a large clutter of advertising. You are one of a handful of elite products being introduced to this audience by one of their peers, and quite possibly one of their idols. This leads to high top of mind awareness and excellent positioning with the consumer. Through equestrian sponsorship you are developing your brand image in the mind of the consumer. Consumers relate to brands that share their interest and are endorsed by the top professionals in their sport. Your products are in front of a very desirable audience with a high disposable income. In addition, you are reaching this audience while they are actively involved in the equine pursuits they value, so your information reaches this audience when they are in a very receptive state of mind. Equestrian enthusiasts are loyal to the sponsors that support their events and top athletes, both in buying habits and word of mouth recommendation. Historically, equestrians purposefully support sponsors. Chester’s high profile presence on social media provides the ideal platform for connecting equestrians with your product. Followers regularly tune in to track and share their favorite equestrian’s latest endeavors. Your products are debuted on Facebook and Instagram, reaching thousands of attentive consumers per post. An integral part of the sponsorship program offered with Chester Weber is the PR aspect. Press releases and media mentions are strategically included in the program and the sponsor’s contribution is brought to the forefront at every opportunity. Chester’s success becomes the sponsor’s success. Naturally the sum of brand loyalty and the exposure created by the sponsorship is designed to result in increased awareness and brand specific sales. The longevity of Chester’s sponsor arrangements is a tribute to the effectiveness of these partnerships.